Here at Greasbrough Primary we teach phonics as a prime approach to learning to read. As children enter school they will begin learning the phases of phonics skills according to the Letters and Sounds document. This is a phonics resource published by the Department for Education and Skills in 2007. It aims to build children’s speaking and listening skills in their own right as well as to prepare children for learning to read by developing their phonic knowledge and skills. It sets out a detailed and systematic programme for teaching phonic skills for children starting nursery and F2 with the aim of them becoming fluent readers by age seven. Activities include lots of games which are divided into seven aspects, including environmental sounds, instrumental sounds, body sounds, rhythm and rhyme, alliteration, voice sounds and finally oral blending and segmenting (often referred to as ‘sounding out’). Children are taught the remaining 7 letters of the alphabet, one sound for each. Digraphs such as ch, oo, th representing the remaining phonemes (sounds) not covered by single letters already taught. Reading captions, sentences and questions. On completion of this phase, children will have learnt the “simple code”, i.e. one grapheme for each phoneme in the English language. Now we move on to the “complex code”. 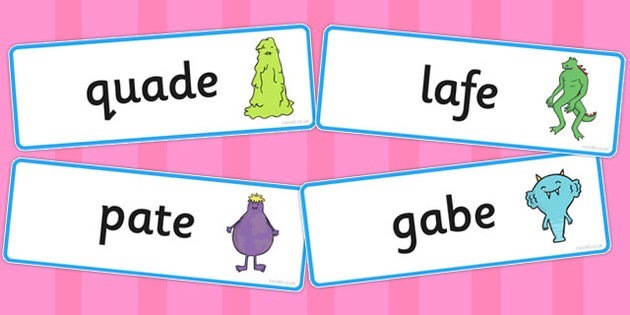 Children learn more graphemes for the phonemes which they already know, plus different ways of pronouncing the graphemes they already know. For example i can also be ie, i-e, igh, y. During this phase children will complete the government phonics check to test their knowledge of phonics up to this stage.